I am all about the best and luxurious products and when it comes to few of my favorite brands, I just have to buy the product. I love Omorovicza as a brand and have used a few of their products which I have reviewed in this blog and posted on my Instagram. 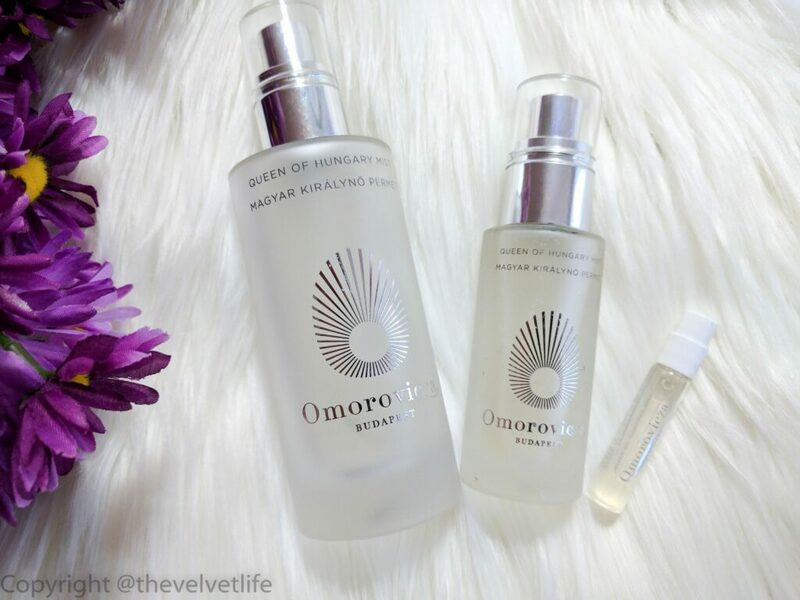 If you are interested in reading about them, you can write ‘Omorovicza’ in the search bar on the right and will see all the posts about the brand. I got a small sample of this mist a few years back (precisely almost three years back) and then I purchased the full size of Omorovicza Queen of Hungary Mist (CAD $110 excl taxes) which tempted me to get a travel size (CAD $40 excl taxes) to keep in my bag and yes, here I am with the review for one of my go-to mists. Omorovicza Queen of Hungary Mist is described as a refreshing neroli and rose-scented toning facial mist perfect for a midday pick-me-up or as a post-cleanse toner. A quick spritz of this neroli and rose-scented facial mist refreshes the skin and lifts the spirits. The formulation is purifying and hydrating. This mist was inspired by the Queen of Hungary Water, the world’s first recorded perfume, formulated for Queen Elizabeth of Hungary in the 14th century. It is free from Parabens, Sulfates, Phthalates and synthetic colors and fragrances. As all other Omorovicza products, this is also powered by a potent blend of Hungary’s mineral-rich healing waters and their patented Hydro Mineral Transference™ delivery system. It is suitable for most of the skin types and does work well for dull and dry skin. I do love facial mists, I am not referring to the makeup setting sprays but the mists which have some skin care benefits and can be incorporated into your skin care routine. In my skin care routine, mists are must whether it is after cleansing my face, drying it and then spraying the mist before applying the serum onto my skin or if it is a follow-up spray after using an acid exfoliator. I have used this mist for a long time, almost 3 years on and off and I do like to keep it in my skin care stash always. 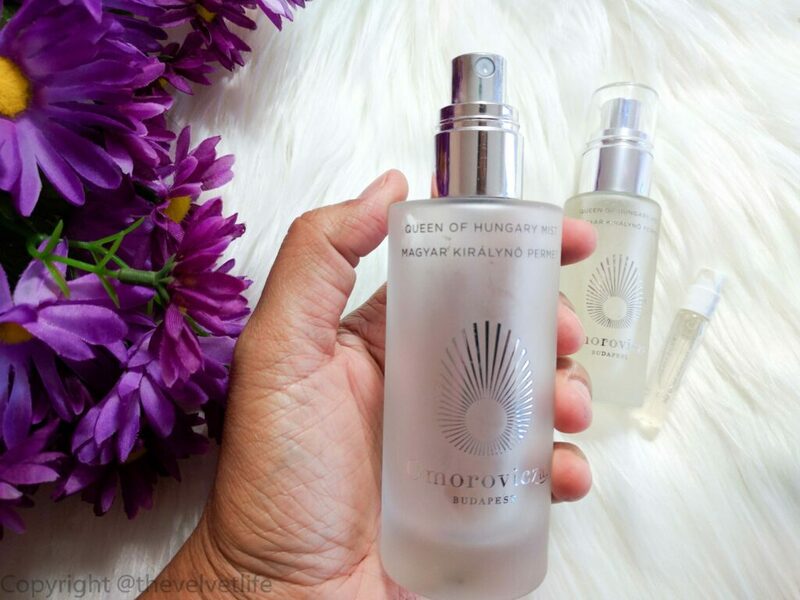 Omorovicza Queen of Hungary Mist, the names itself sounds divine, majestic and luxurious ( so many beautiful words in one sentence for this mist I know). A spritz of this mist does give a nice glow, hydration, and freshness to the skin and to the senses too. The packaging is beautiful glass bottle and the best part is the topper from where the mist comes out, it is the gentlest and fine mist that comes out of that topper, not like you get wet or the product gets to different directions, but just the perfect kind and like made as per your face’s size and needs. My face needs 2-3 spritz and I just wait for few seconds to apply my serum on to the skin. It makes the serums get absorbed nicely.The fragrance of this mist is very subtle and natural. Apart from using it the ways I described above, I do like to keep this in the fridge and spritz it onto my face during my skin care routine, it feels so calming and freshening. For using this as a mid day pick me up, the aroma and the gentle mist does freshen up the senses and the skin. It is available to be purchased at Sephora and the Omorovicza official website ( they do ship worldwide). 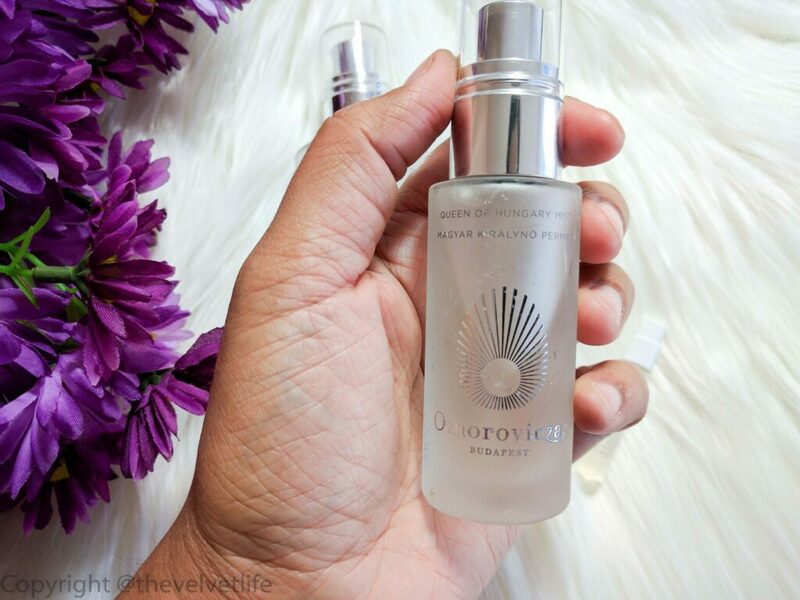 Have you used Omorovicza Queen of Hungary Mist? What is your favorite skin care mist/hydrating toner?